San Diego City Councilman Chris Ward announced his candidacy Monday for the 78th Assembly District, which is currently represented by termed-out Todd Gloria. “We are a special and dynamic region whose voice needs to be at the forefront in the Assembly. Our long tradition of leadership has guided our state through unprecedented success, and I’m ready to continue our progressive leadership that turns our values into action,” Ward said in an email to supporters. His candidacy comes as numerous office holders announce their 2020 plans in advance of California’s new early primary in March 2020. Last week, both Gloria and Councilwoman Barbara Bry announced their candidacies for San Diego Mayor. Ward, a Democrat, is in his second and final term on the council, representing District 3. Previously he served as chief of staff to former state Sen. Marty Block. He is a graduate of Johns Hopkins and Harvard universities. 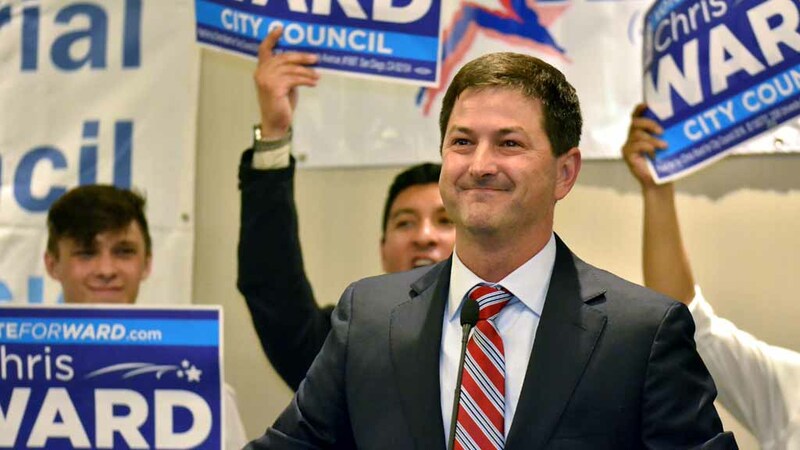 “San Diego has a long history of sending its hardest working, committed public servants to lead our state and bring solutions home, and as I raise my kids here, I’m committed to making sure we build them an even better San Diego,” Ward said.